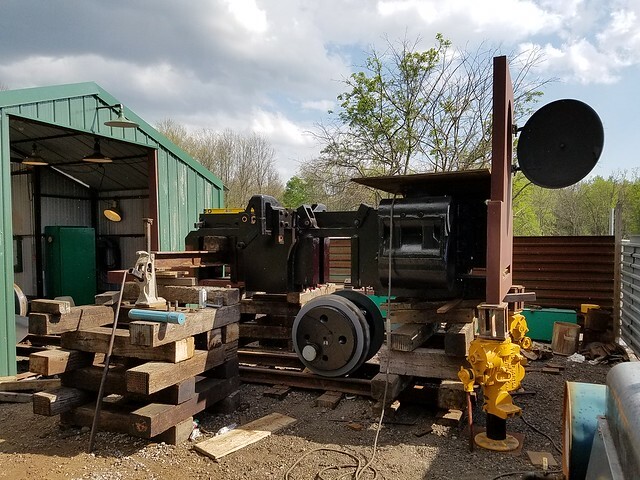 We are making pretty good progress on the restoration of the 23" gauge Porter 0-4-0T at the Youngstown Steel Heritage Museum. Thank you for sharing these videos and keeping us all up to date on your progress. It's amazing how easily those nuts came off! 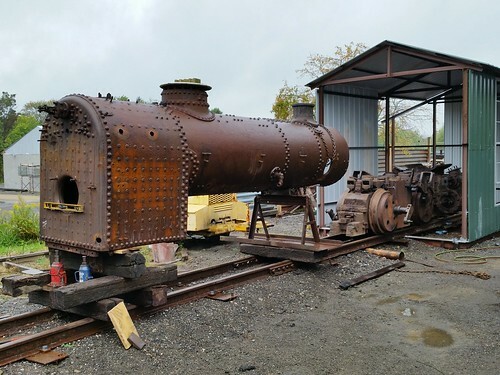 We are making progress on the restoration of J&L 58. 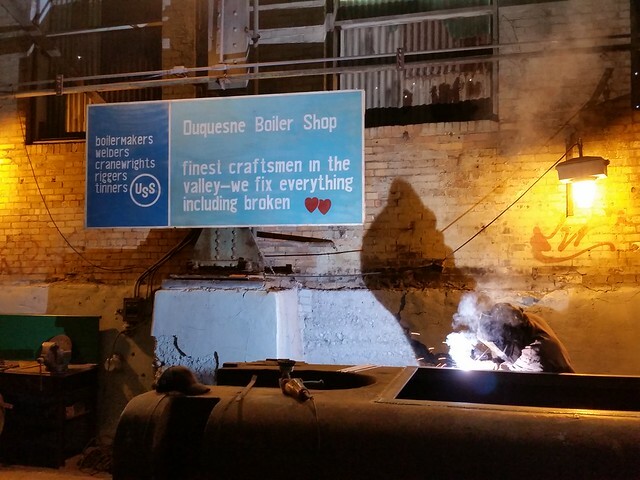 Yesterday the boiler was removed from the frame, and later this week it will be going to the boiler shop for rebuild. Scroll down the page for the pics. I filmed a short video today giving an update on the restoration of the 58. Work continues on the J&L 58 in Youngstown. Looks like I have not updated this thread in over a year, so this is what we got done in 2016. Separated the boiler from the running gear. 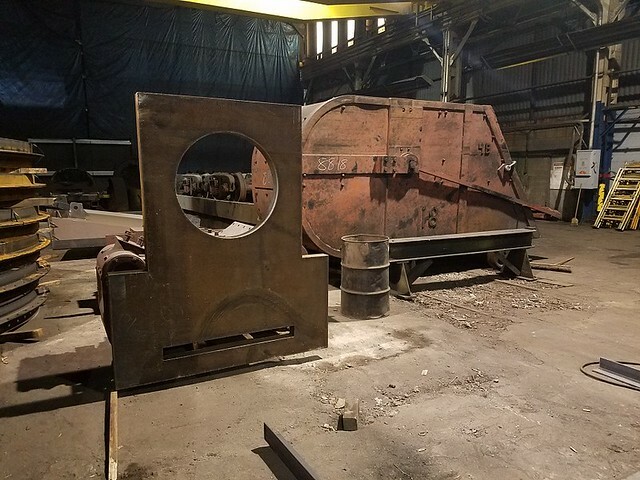 Boiler goes to JS Company for work, frame goes to Reichard Industries for some heavy welding work. 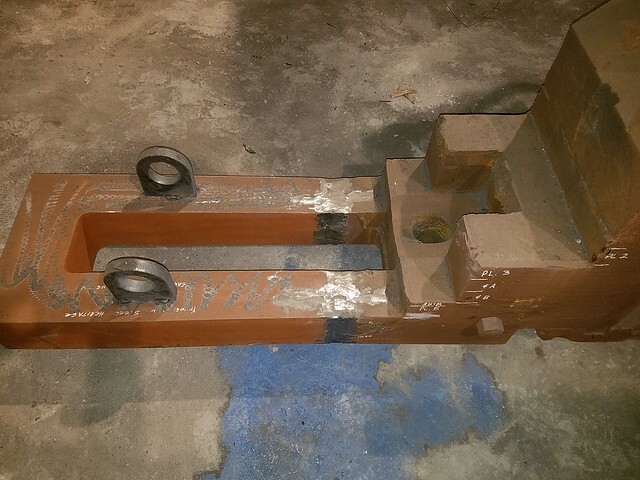 The roller bearing driving boxes were frozen into the frame, so I had to chain down the drivers and jack up against the frame to break it free. 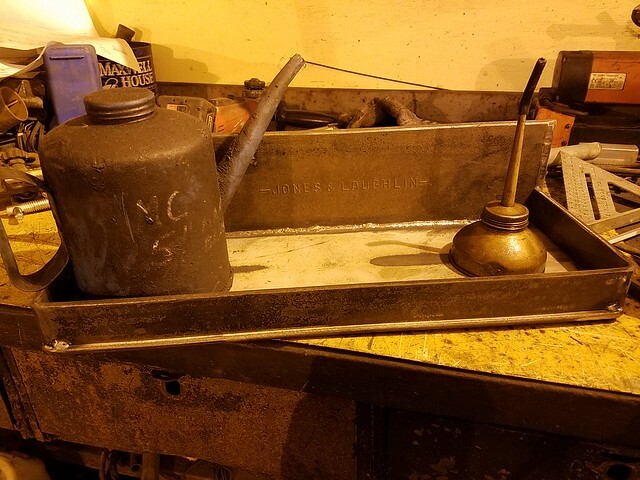 The saddle tank had no means of accessing the interior to clean it out, so we cut a large opening in the top, framed it with 3x3 angle and added a cover plate. There was about a foot of debris and rust in each water leg. I think we have the WW&F beat in terms of cramped shop space to work in! Jacking the frame up off of the drivers. 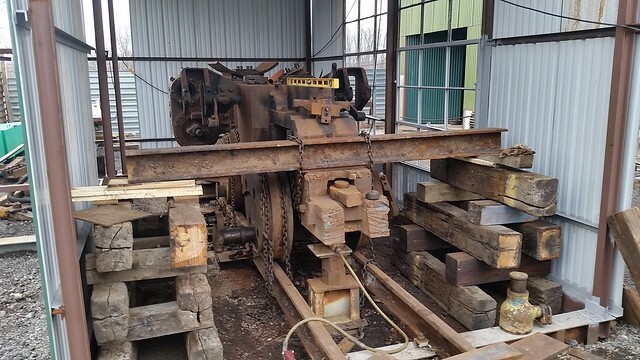 The frame weighs 22 tons. Loading the frame to be taken to Reichard Industries. 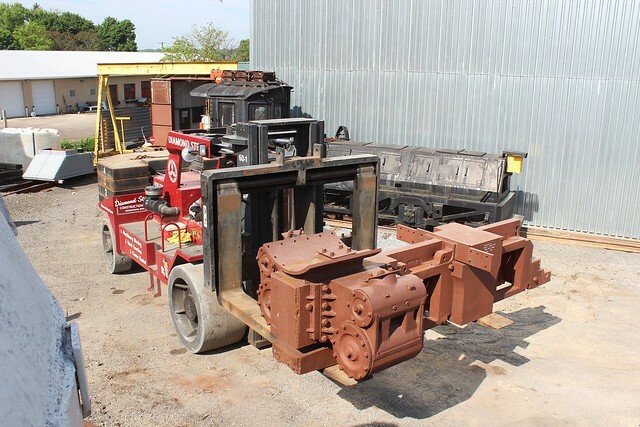 This was the day that the 43" gauge shunter in the background was also delivered. 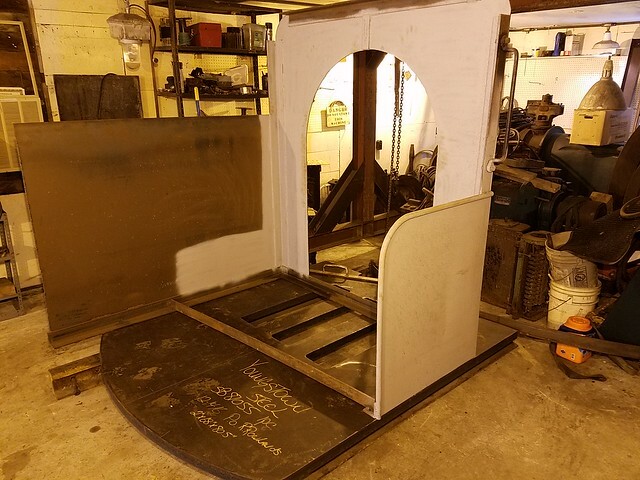 New cab being fabricated in my garage at home. Frame all welded up with the characteristic front plate reattached and a new rear frame extension welded on. Ready to head back to the J&L NG. 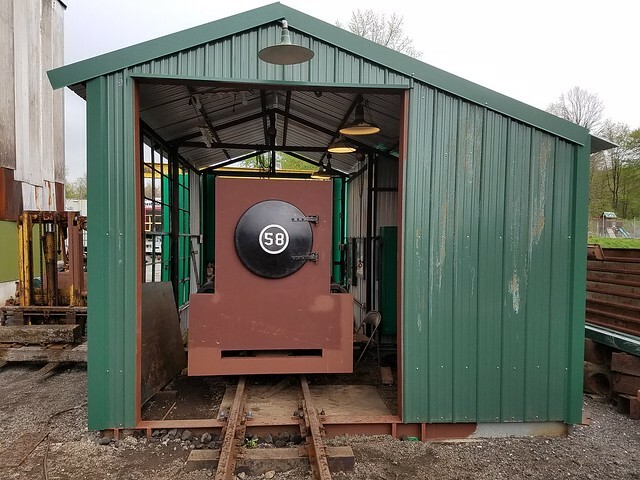 Since the 58 was built for 23" gauge and we will be following the same track standards as the WW&F, each driver tire must be moved out 3/8" to achieve 20 7/8" back to back distance. I built a fire ring and tested it out on one of the spare worn out driver sets that we have. I had a short piece of 6x4 angle with the J&L mill mark so I made it into an oil can shelf that will be affixed to the backhead. A nice touch! 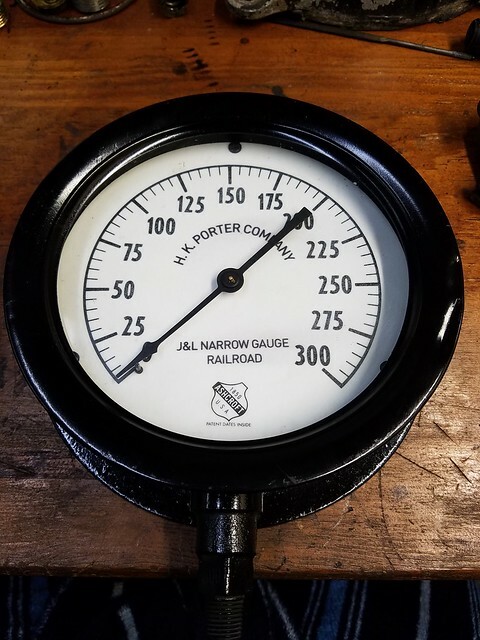 I had some additional lettering printed onto this pressure gauge face to approximate what the gauges from Porter looked like. 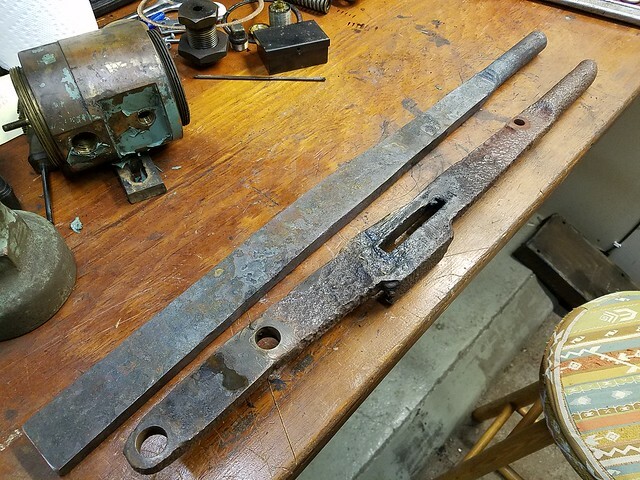 A local blacksmith friend of mine forged a piece of 1 1/4" square stock into the new throttle handle to replace this quite deteriorated throttle handle. 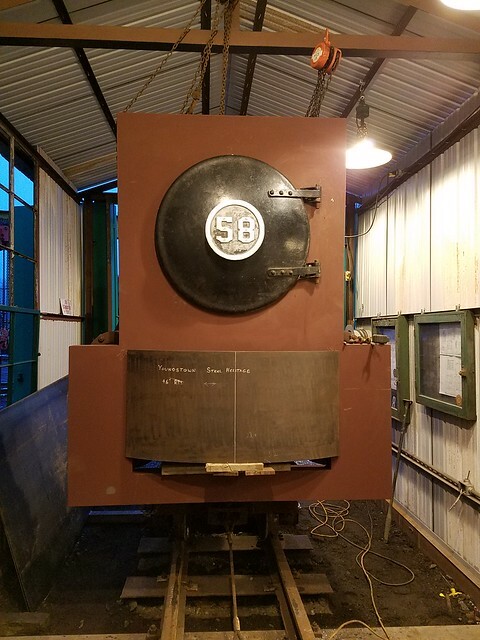 J&L 58 now has a face! The new front plate looks great, the engine probably hasn't looked like that in many years. Thanks for the photo. We put the 58 back on her own wheels yesterday. The locomotive rolls with almost no effort. Amazing considering it weighs about 50,000 lbs. in this condition. It's heavier than it looks. 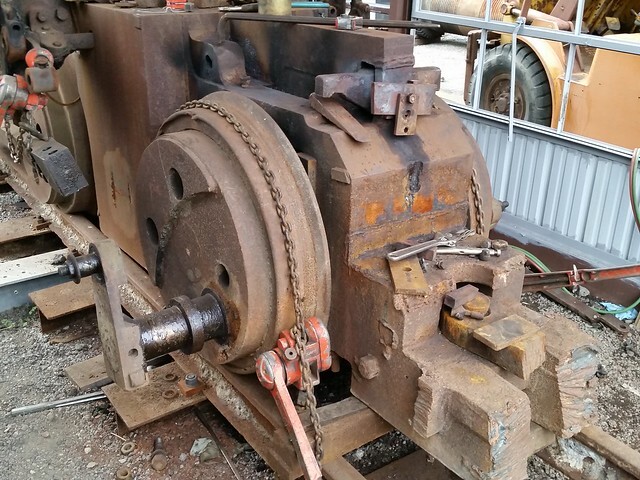 But with roller bearings three of us can move it. Good going, Rick and crew. Man, those drivers and that frame are massive! Must be. The B&SR 7 weighed in at 66,500 pounds complete. 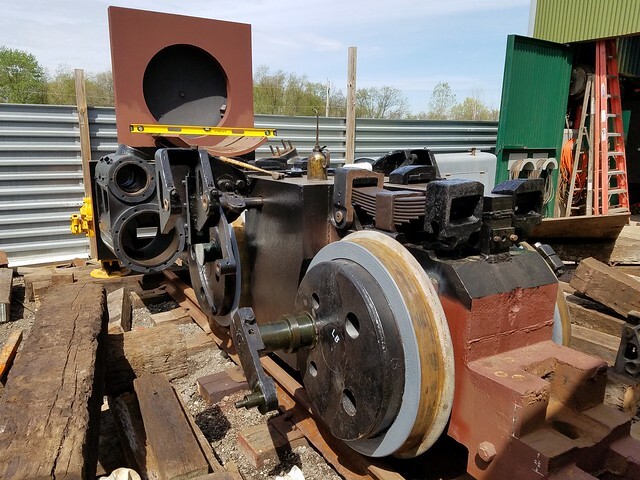 You are saying 50,000 pounds with what is pictured, you are going to have one heavy loco when done. 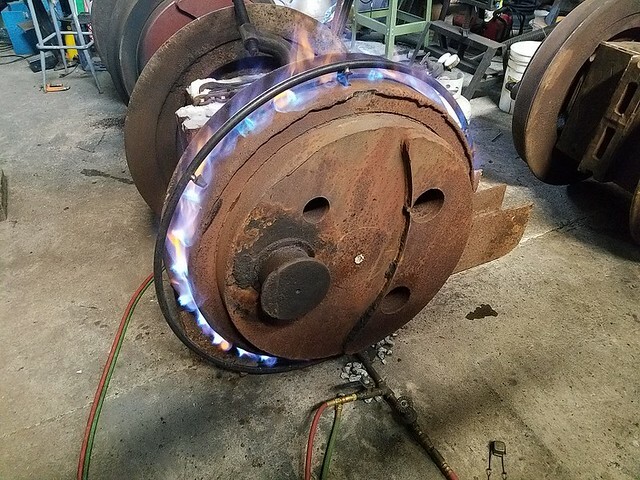 And that is why most steel plants had mainline/heavyweight rail laid for their switching operations. Those crucible and slag drags were mighty heavy.